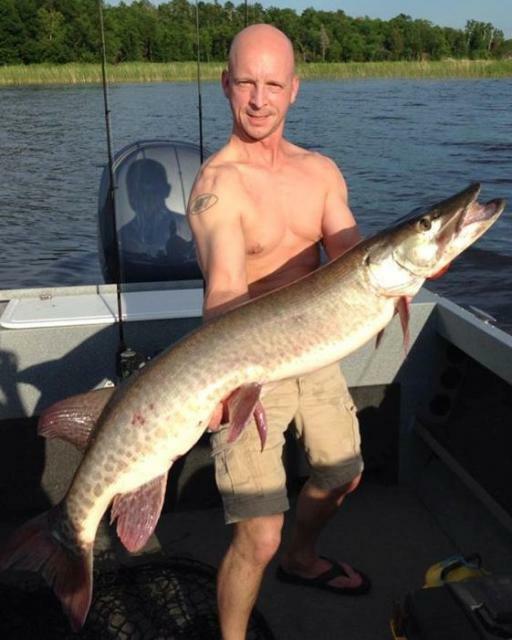 Muskie, Musky, or Muskellunge Fishing on Lake of the Woods, ZONE 5, is open from the 3rd Saturday of June until December 15th. Muskie are abound in the waters of Lake of the Woods. Muskie over 50 inches in length, and reaching 50 lbs are not uncommon in Northwestern Ontario. They can be harvested in all sizes in any season. Muskie fishing on Lake of the Woods is exciting and will get any fisherman's adrenalin pumping, whether you're an experienced fisherman or a novice. Muskie fishing on Lake of the Woods produces for the Serious fisherman who is willing to do the "thousand casts". The possession limit on a Sport Fishing License is one a day and they have to be over 54" to keep them. Whether it’s a trophy fish you’re after, or you just want the enjoyment of catching that elusive Muskie, we can help you find an excellent spot to find them. 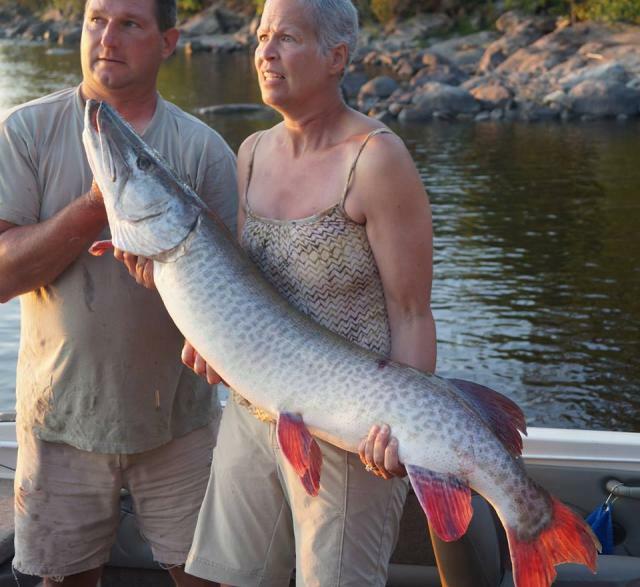 Master Angler Award program recognizes the efforts of fishermen catching Muskie 36" and over.